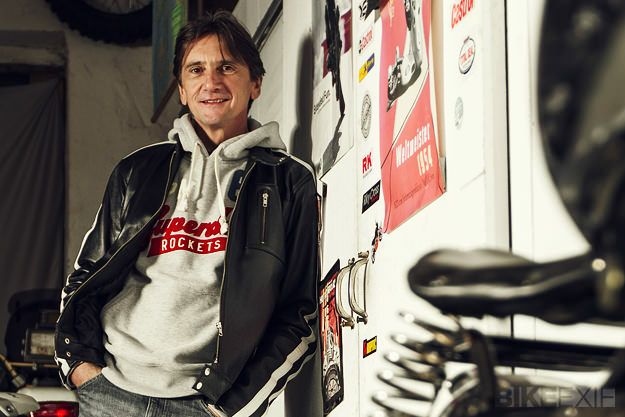 The man in charge of motorcycle design at BMW Motorrad right now is Edgar Heinrich. He’s the new boss of the company’s Design Studio, after working his way up through the ranks (with one break) since 1986. Heinrich’s personal creations include the R1100 and K1200 series, the HP Megamoto, the mighty Dakar racing machines and the R1150/1200 GS. And he’s been involved in most of BMW’s other big sellers, including the F800 GS. Heinrich has just returned to his native Germany after a stint at India’s Bajaj Auto, which builds around four million bikes a year. Just when he thought he was safe, we hit him with the traditional ten questions of the Bike EXIF Interview. 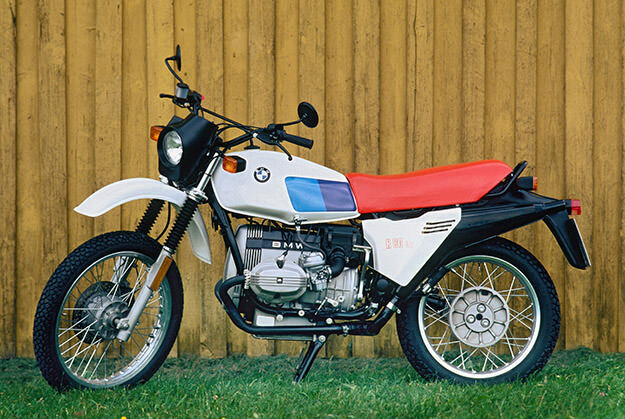 What was the first motorcycle you bought with your own money? 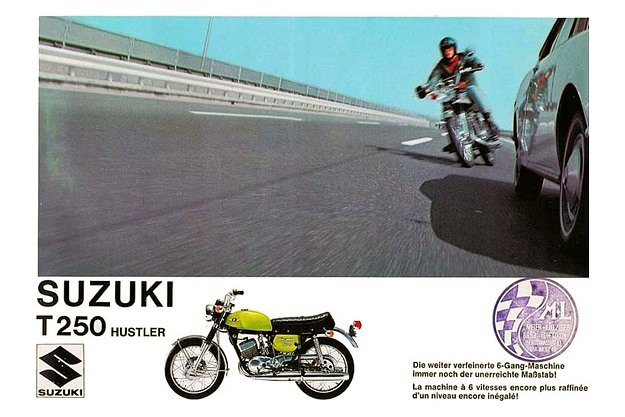 At the age of 17, I bought a Suzuki T250 [below] from my elder brother. I didn’t have a license then, but in those days it was no problem running around the country back roads. 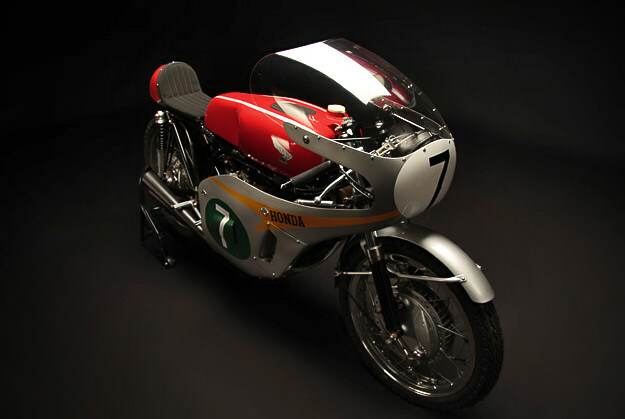 What do you think is the most beautiful production motorcycle ever built? There is not ‘the’ most beautiful bike for me. As always, this lies in the eye of the beholder. My favorite ones are the BMW R5, the Honda CB500F (better proportions than the bigger 750), the Honda RC 166 [below], and Ernst Henne’s Supercharged BMW 500 cc Racer from 1937. But okay, the last two are not production bikes. The Ducati 916 is also very close, and the Laverda SFC. What motorcycle do you despise? There are some 1980s Asian ‘soft choppers’—the type with the stepped comfy seat, sissy bar, raised handle bars and chrome accessories. What is your idea of perfect happiness? A cool bike, twisty roads on a sunny day, along with some friends. And some free days ahead. Electric motorcycles: Yes or No? Yes. I was quite surprised after my first riding experience on an electric bike. What is your favorite journey? Having ridden many roads on different continents, for me the standard classic is riding the Apennine mountains in Italy. The perfect combo of great roads embedded into scenic landscapes, low traffic, rich culture wherever you stop, tasty food, friendly people, and (mostly) nice weather. Not to forget the world’s best coffee! Which ‘everyday’ modern bikes do you think will become future classics? The equivalent of the Honda CB750 or Moto Guzzi V7 Sport, if you like? The R 80 G/S [above] and Yamaha XT500 are there already. The chances for the Megamoto and K 1200 R could be good on the BMW side. Also Baba-San’s first CBR900 Fireblade, the Ducati 916 of course, and maybe even the Monster. 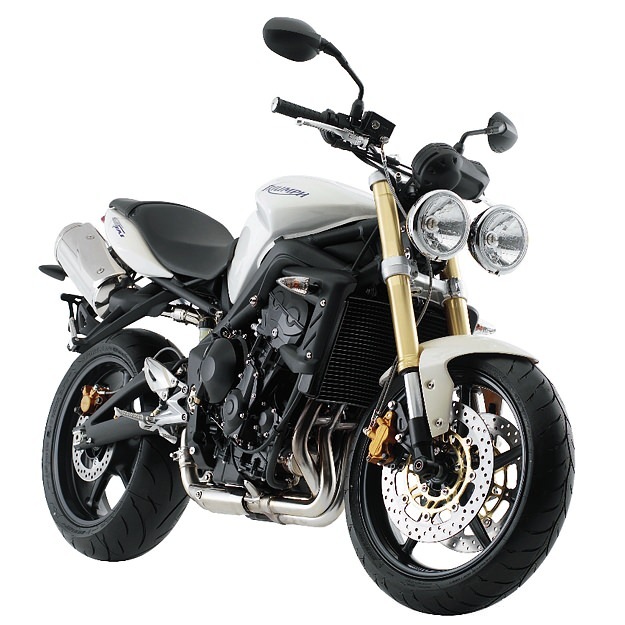 The Yamaha V-Max Mk I and the earlier Triumph Street Triples [below]. Who are your real-life motorcycling heroes? I have no heroes—never had. But I have great respect for all people who dedicate their efforts to an idea or addiction like motorcycles. No matter if they race, customize, build or invent bikes. Are you optimistic for the future of motorcycling? Yes, I am. Future scenarios are complex, so there is no simple answer. I think two-wheelers offer solutions, especially for urban traffic problems and for commuting. And they provide compact and cheap mobility in the vast areas of developing countries—whether carbon- or electric-powered. There are many options to help solve the mobility problems of the future. On the other hand, the safer and more restricted we get in our everyday mobility, the less fun it is. So there’ll be a demand for emotional solutions, too. This is an opportunity for bikes to satisfy needs beyond the sheer utility and the carbon footprint discussion. What is your current state of mind? I am happy to be back in Germany and looking forward to my new role as head of BMW Motorrad Design. Hopefully I’ll also find time for working, travelling, restoring, customizing, tinkering with and collecting bikes.